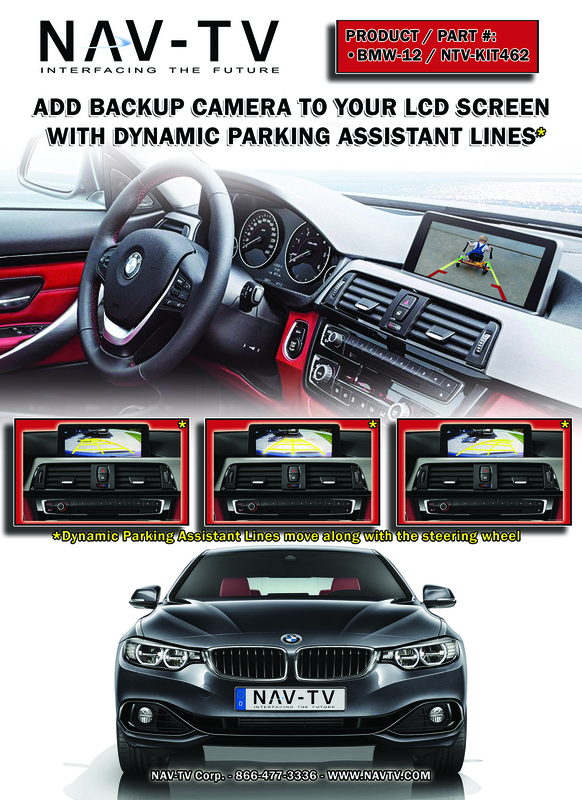 The BMW12-DYNAMIC kit allows the user to add up to 3 video inputs and a backup camera input to the factory media screen in select BMWs. 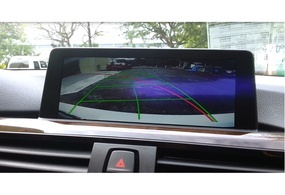 This module will emulate the factory reverse camera’s steering-based guidelines when in reverse. 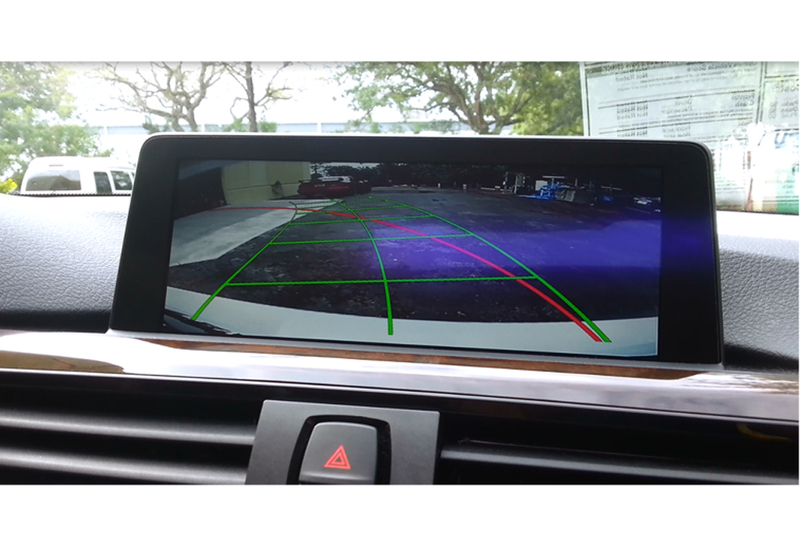 Note that if the parking sensors currently display in the center of the viewscreen, then the camera image will replace the parking sensor image. 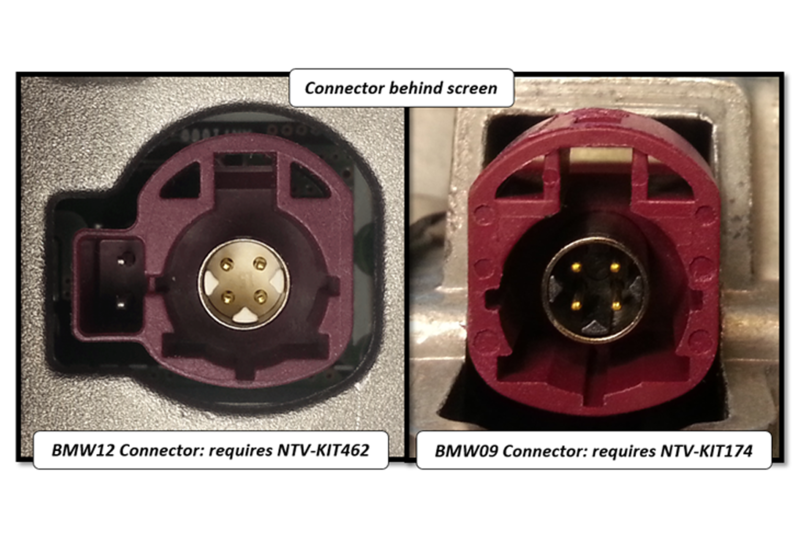 NOTE: 2017 year ‘EVO’ touch-screen monitors or ‘CID’-labeled monitors are NOT compatible with this interface. 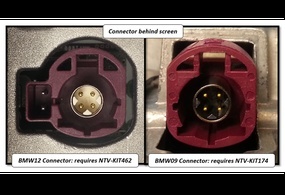 Before ordering, be certain you qualified the vehicle correctly. 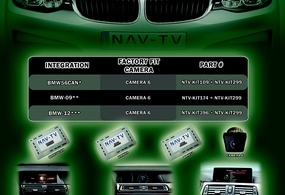 See picture #2 for iDrive system compatibility. 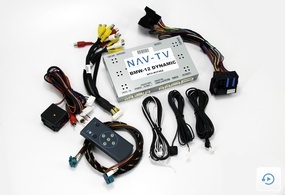 NAV-TV now offers dynamic reverse guideline kits for all screen-equipped BMWs 2006 and up model years. 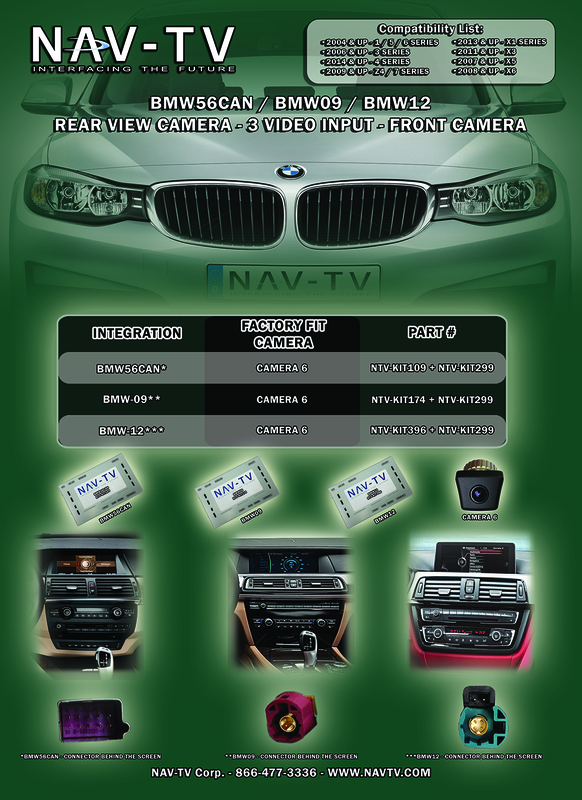 See 'Related' below.